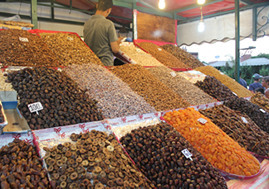 This program will acquaint travellers with Morocco's rich and diverse cultures and peoples. We will visit some of Morocco's most impressive cultural sites acquainting participants with Jewish heritage in Morocco, Medieval Islamic art and architecture. 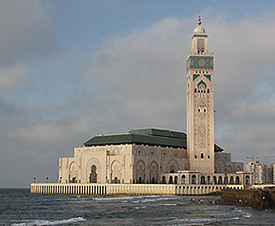 In Casablanca, we will visit the mosque of King Hassan II and the Museum of Judaism, the only Jewish Museum in an Arab country, while making new friends with Moroccan Christians. 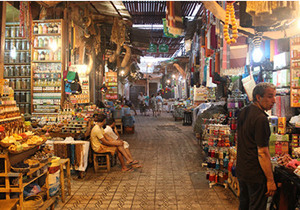 We will exlore Marrakech, venturing from our Riad and out into the vibrant Jemaa al Fanaa, full of snake charmers, peddlers, and performers. 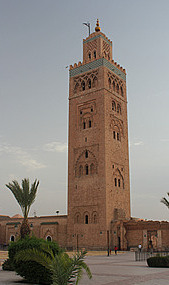 We will visit the Koutoubia Mosque, one of the most important landmarks in Marrakech. We will drive to the Middle Atlas Mountains and elevations above 8,000 ft. The High Atlas Mountains, reaching to 12,000 feet and higher, are the backdrop for our drive. Day 2 Arrive Casablanca. Upon arrival, we will journey to the heart of Casablanca visiting with Moroccan Christians before visiting the Museum of Judaism and touring the King Hassan Mosque. Orientation, introductions, dinner at the hotel, overnight in Casablanca. 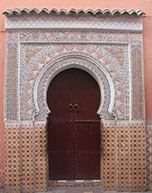 Day 3 Kasbah of the Oudayas, Oudayan Museum of Art, University of Rabat, dinner at the hotel, overnight in Casablanca. 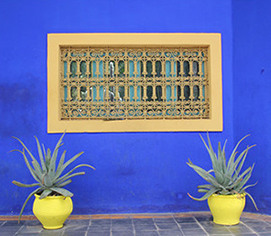 Day 4 drive to Marrakech, visit Marjorelle Gardens, Saadian Tombs, Palace of Bahia, Museum of Moroccan Arts, introduction to the souk. Dinner on your own. Overnight in Marrakech. 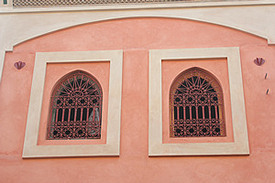 Day 5 Tour the Jewish Quarter, view the Koutoubia Mosque, Jemaa al Fanaa, Mulay Idris, dinner on your own. Overnight in Marrakech..
Day 9 Return to USA or continue with the elective. Day 12 Return to USA. ***Meetings with indigenous people are subject to change. Appropriate substitutions will be made in the event a speaker is unavailable. ** Daily itinerary is subject to local conditions, including weather, opening and closing hours, holidays, flight schedules, etc. Sometimes the order of the itinerary will change due to such circumstances and sometimes substitutions will be made. *Morning and evening fora on various topics will be arranged throughout the program. Appropriate substitutions may be necessary.